After she was graduated from the Winsor School in Boston in 1926, Nancy Hale set out to be a painter like her parents. Through a series of fated career decisions, though, she settled upon writing, for writing was as much in her blood as painting. Her grandfather, the writer and Unitarian clergyman Edward Everett Hale, was as famous for his essays and stories—especially The Man Without a Country (1863)—as he was for his sermons. One of her great aunts, Lucretia Hale, wrote The Peterkin Papers (1880) and another, Harriet Beecher Stowe, Uncle Tom’s Cabin (1852). When Nancy Hale was not quite eight years old, she asked to be given a printing press for her birthday, astonishing her mother, but not her father, who explained that most Hale children ask for printing presses at some point in their childhoods. The whole family—male and female members alike—had been involved in writing for and publishing newspapers, particularly the Boston Daily Advertiser, since the beginning of the nineteenth century. As soon as Nancy Hale got her printing press she began to put out a family newspaper called the Society Cat “at wildly irregular intervals.” By the time she was eleven, she sought a wider audience by submitting a story to the Boston Herald, with a letter explaining that “my purpose is remuneration,” thus expressing her determination even then to be considered a professional in the field. Nancy Hale received considerable recognition as a fiction writer. Almost immediately magazines like American Mercury, Harper’s, Harper’s Bazaar, McCall’s, and the New Yorker had begun to publish her sensuous, yet understated, deftly crafted stories. When The Prodigal Women came out in 1942, Maxwell Perkins was vindicated with a vengeance. Overnight the book became a best-seller—possibly because it dramatized, with unflinching candor, the psychological cost of being a woman of that time. 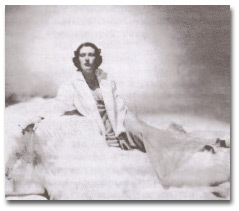 In an interview conducted at the height of the success of The Prodigal Women, just before the publication of Between the Dark and the Daylight, the thirty-four-year-old Nancy Hale was already musing about the new direction her talent seemed to be taking: “I feel as though I had dozens of novels still to write and all kinds of stories. The only difficulty is that I most want to write, it seems, about things that happened before I was twenty-five.” Then she goes on to express a fear that she may be “just drawing on the life—the life that I really and fully lived—before I wrote much. Well, you can’t draw on that forever. One reason there are so many one-book authors is that they used up the living years in one book.” As it turned out, her fear was unfounded. Nancy Hale’s imagination was able to keep responding to and fashioning new (although more carefully restricted) fiction from the experiences that came to her as an adult, while it was also making rich use of her childhood. The year 1942 was an unusually lucky one for Nancy Hale, not only because of the success of The Prodigal Women, but more important, personally, because in March of that year she married Fredson Thayer Bowers, a professor of English at the University of Virginia. In the months preceding Pearl Harbor, he had been trained secretly as a cryptographer and was soon transferred with his new family from Charlottesville to Washington to oversee a group deciphering codes in the Navy department. After the war the Bowers moved back to Charlottesville, where they have remained ever since, though they go to New England every year to spend the summer on Cape Ann. During the next three decades, Nancy Hale adapted to the relatively quiet life of a small academic community and continued to write not only novels, short stories, and what she calls “autobiographical fiction” but also a biography and a book for children. 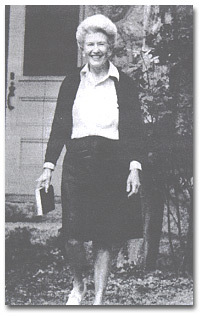 She also edited New England Discovery (1963), an anthology representing 300 years of New England writing. A whole generation of readers of the New Yorker came to feel that they were intimate friends of Nancy Hale’s, or more accurately of Nancy Hale’s imagination, since almost all of the sketches in A New England Girlhood and the stories in The Empress’s Ring and The Pattern of Perfection (1960) appeared originally in that magazine. In fact, during one year in the 1950s, Nancy Hale had more pieces of fiction in the New Yorker than any other writer. After the death of her mother in 1963, she began to clear out the objects in her mother’s studio on Cape Ann and to write about the feelings this activity engendered. Before she knew it, Nancy Hale was engaged in a series of affectionate, but unflinchingly honest, reminiscences of the artists she grew up among—her mother, her father, and her aunt. Most of them appeared separately in the New Yorker before she gathered them into The Life in the Studio (1969). This masterful collection of familiar essays opens with a list of objects she found lying around the studio, a list which extends over three printed pages and ensnares the reader—sensually and intellectually—in the artists’ world. The reader then proceeds to stroll through the past with the middle-aged author, stumbling unexpectedly upon hitherto hidden truths, “secrets” that the author did not know she knew. Because of her extraordinary understanding of the inner world of artists and of women, and so, particularly, of artists who are also women, Hale was commissioned by Doubleday to write a full-scale biography of the American painter Mary Cassatt. The resulting book, Mary Cassatt, was an immense undertaking in a genre new to her which consumed four years in research and writing before the book was published in 1975. In Charlottesville, Virginia, the local newspaper dedicated its 1980 arts supplement to Nancy Hale, enumerating the many contributions she has made to that community: among them serving as a visiting Phi Beta Kappa scholar and as a moving force in the creation of the Virginia Center for the Creative Arts. She was also the first woman ever invited to give the graduation address at the University of Virginia. — By Anne Hobson Freeman, abridged from the Dictionary of Literary Biography, 1980. “Nancy Hale,” in American National Biography. New York: Oxford University Press, 1998. Hale, Nancy. The Life in the Studio. Boston: Little, Brown, 1969.